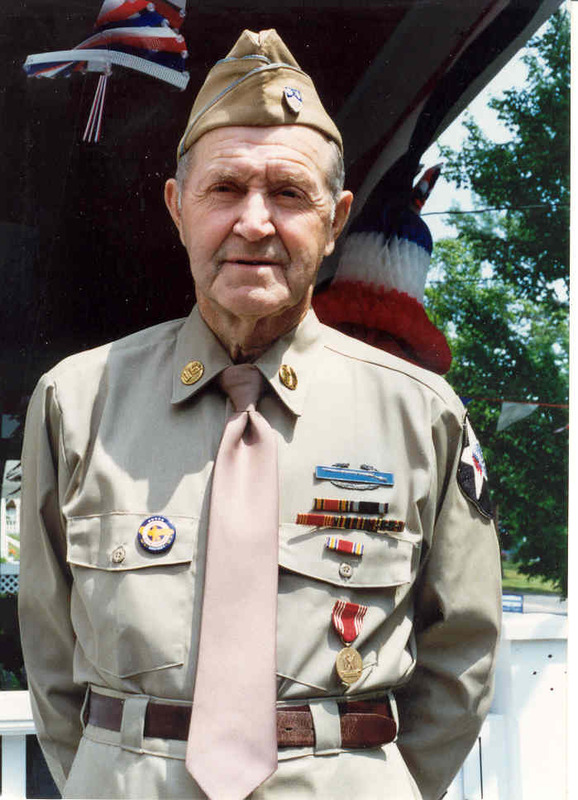 Harold Sprague of Cherryfield, served as a telephone lineman in the push across France during what is now called “Liberation Summer – 1944”. As a lineman, Harold was often at great risk being up a pole stringing wire with German snipers in the area. Following the War, Harold returned to Cherryfield Academy to complete his high school education interrupted by war. It must have been strange to go from daily danger to a teacher giving him orders. He met his future wife, Janet Grant at CA and are grateful and proud of their two sons, Terry and Tim and the grandchildren. Harold was an RFD mail carrier for more than 35 years and still cuts his own wood on his lot on the Ridge. Harold is truly an example of the Greatest Generation among us. Thank you Harold for your devotion to duty and your love of your hometown.